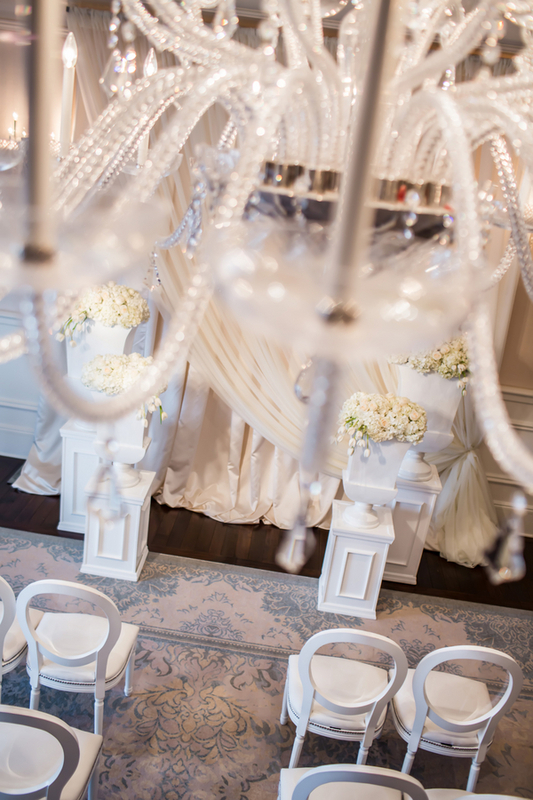 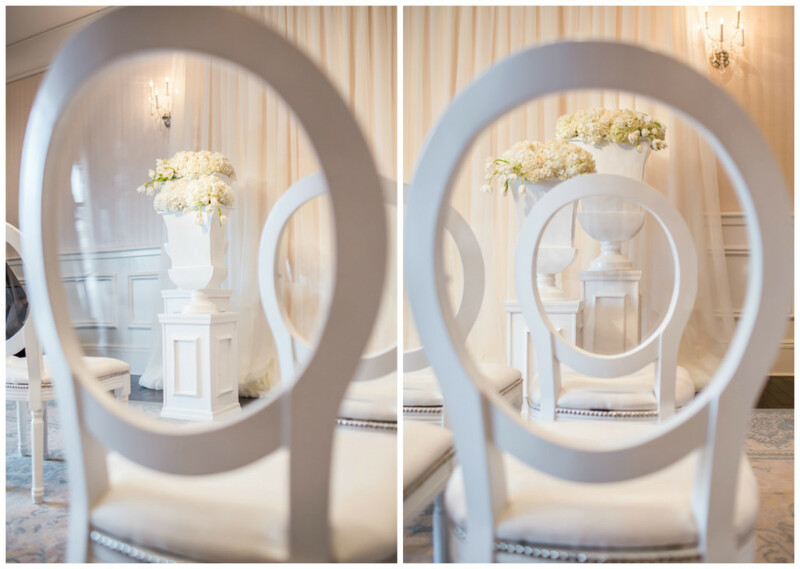 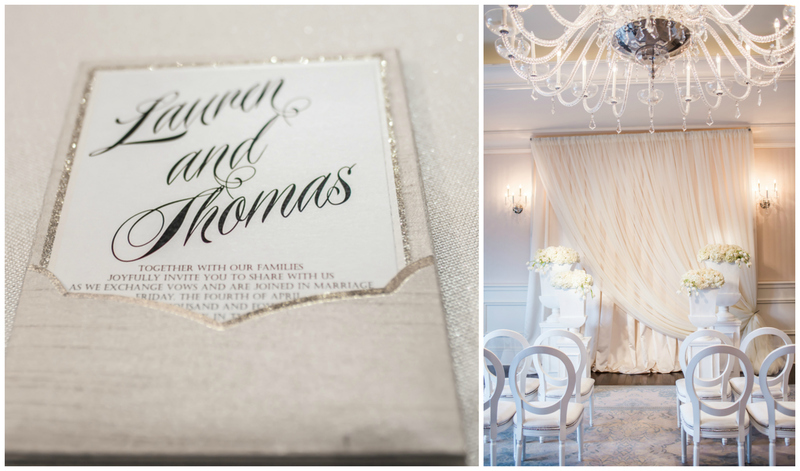 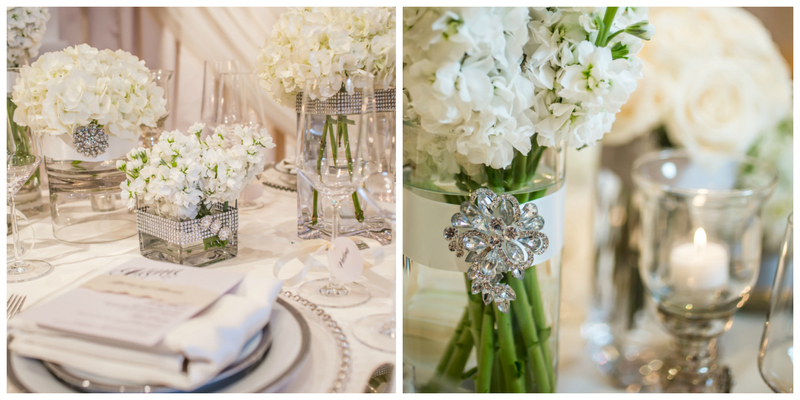 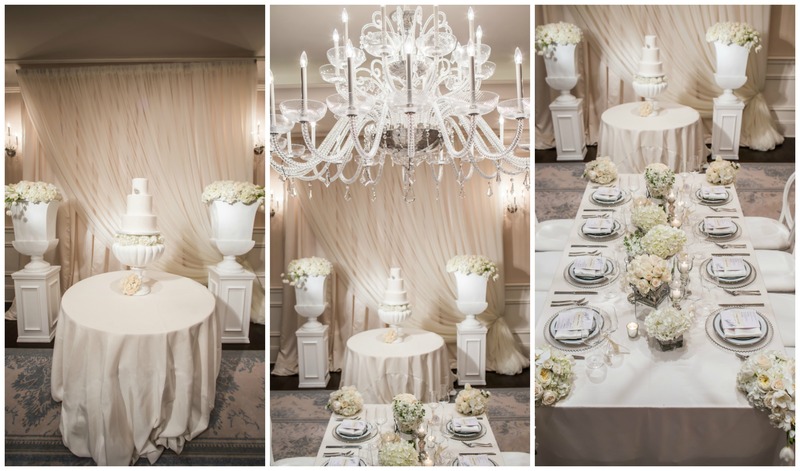 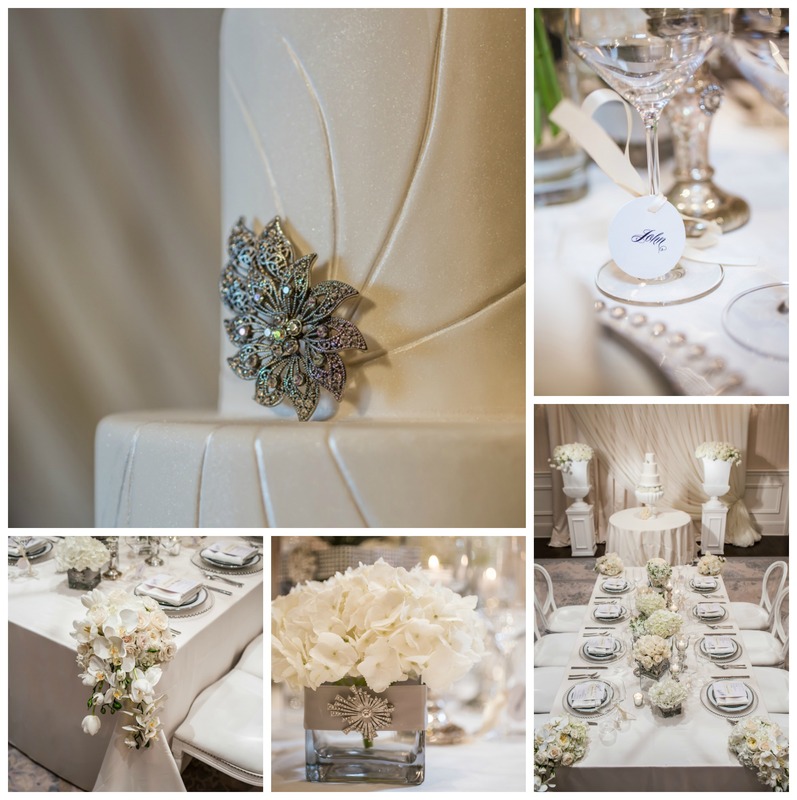 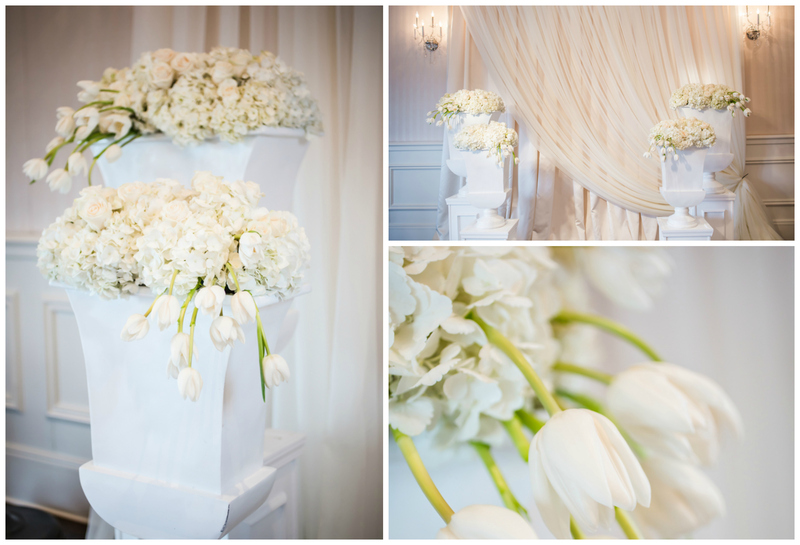 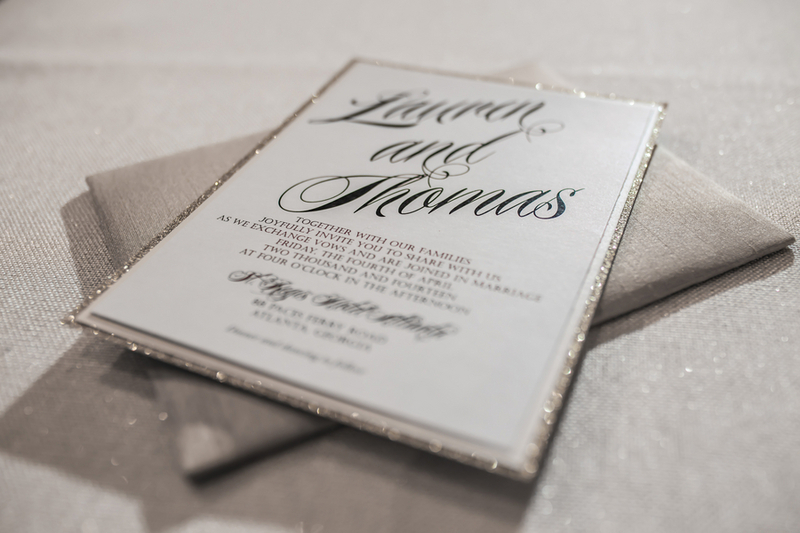 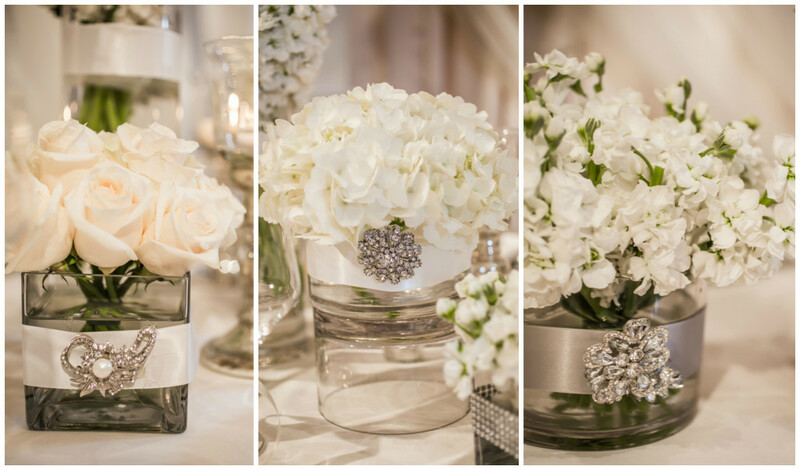 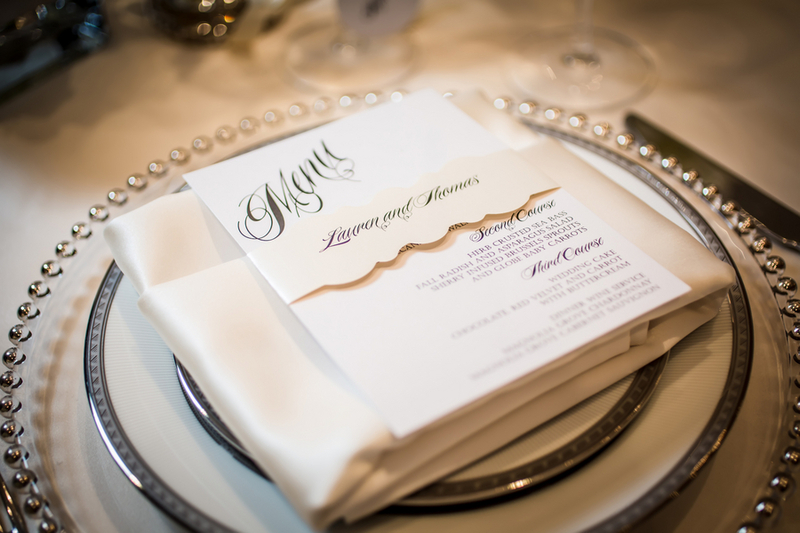 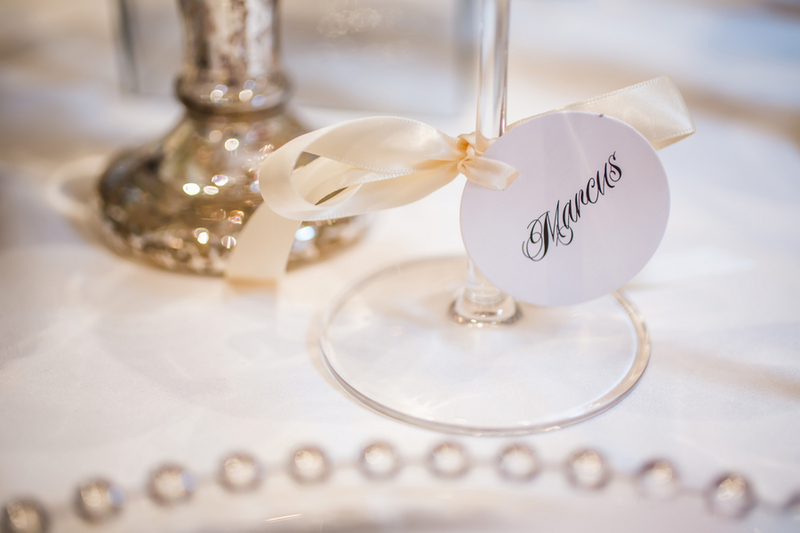 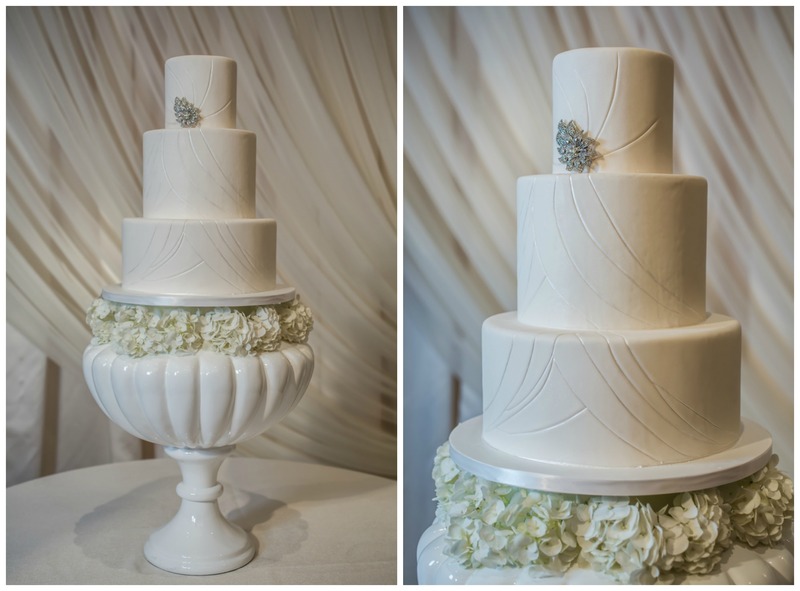 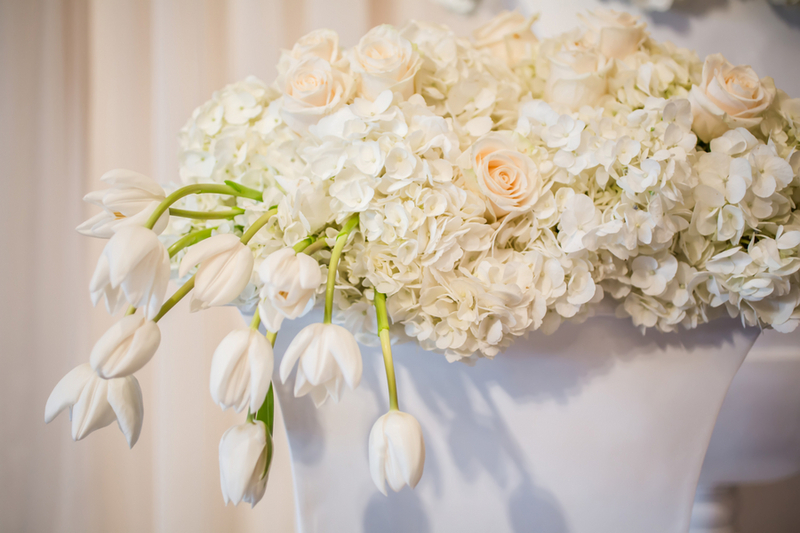 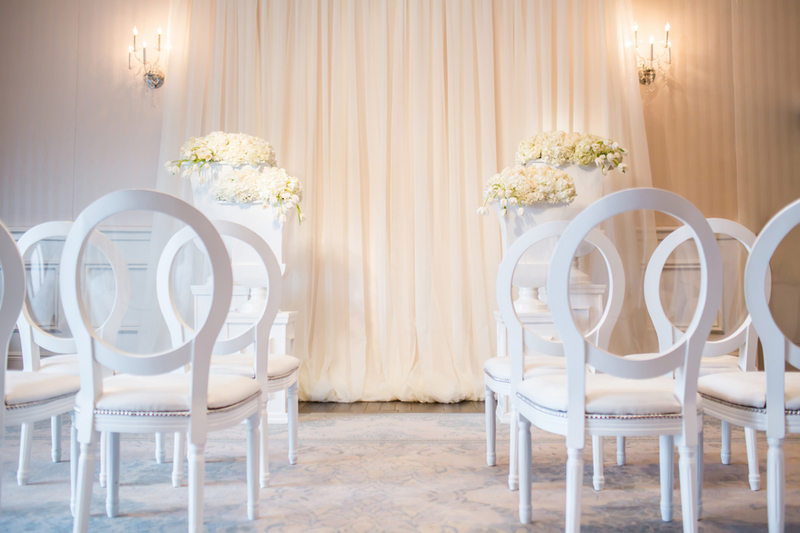 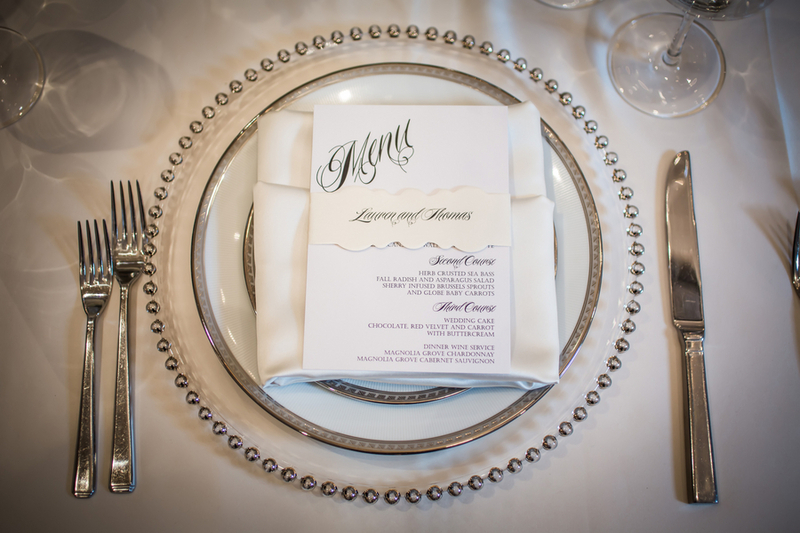 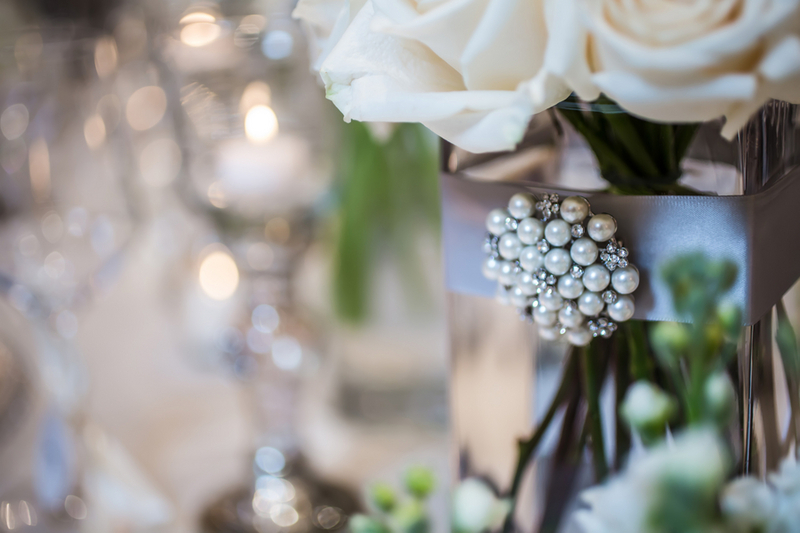 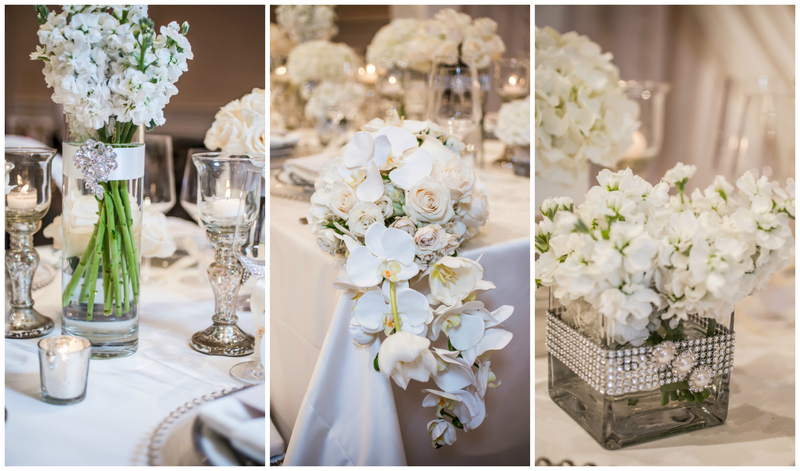 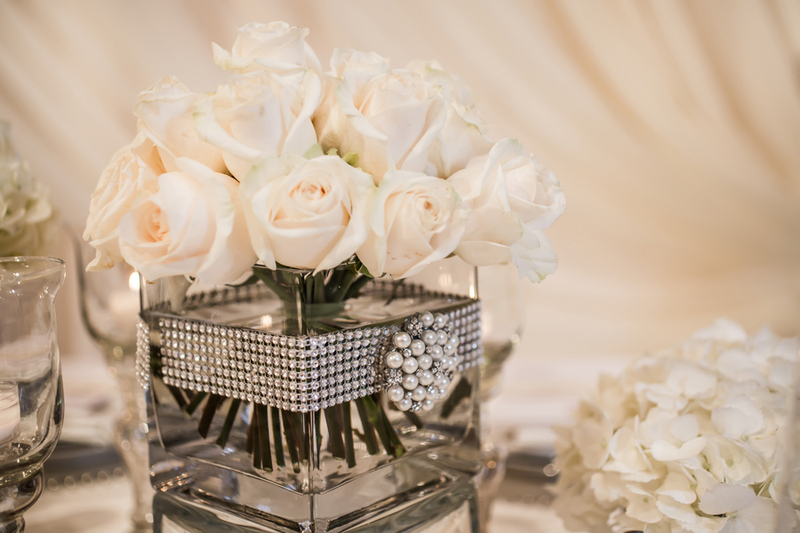 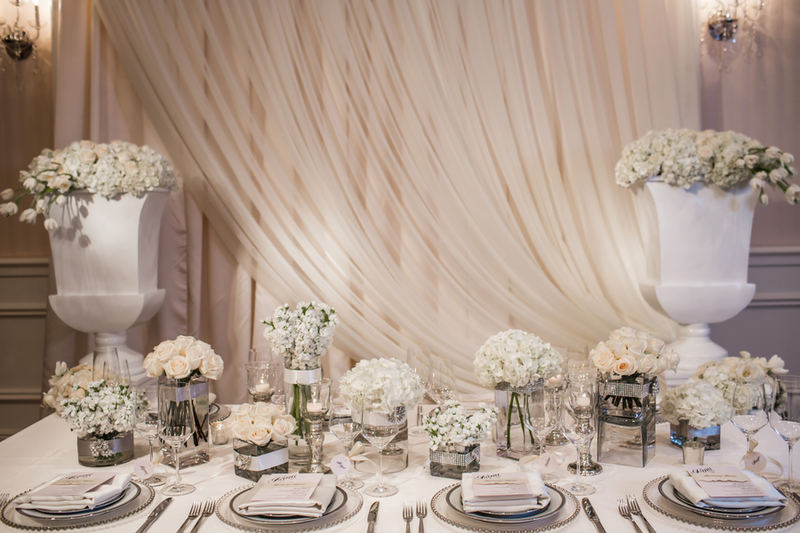 All-White wedding decor is the perfect coordination of modern glam with timeless elegance. 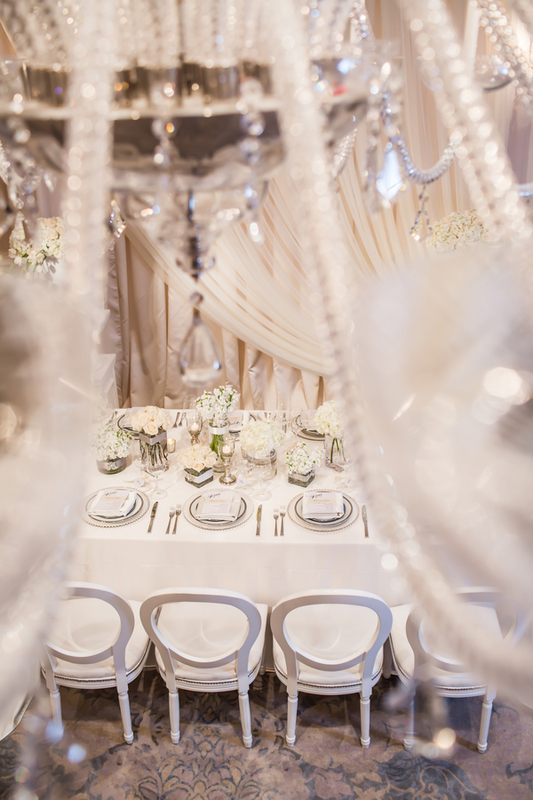 Crisp white linens, a gorgeous hanging crystal chandelier, an array of white flowers with just the slightest pop of greenery and the insertion of silver accents; make this styled shoot sophisticated and chic. 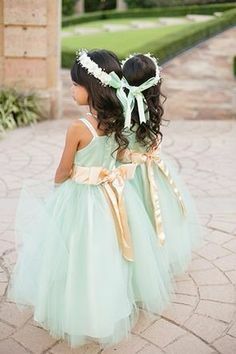 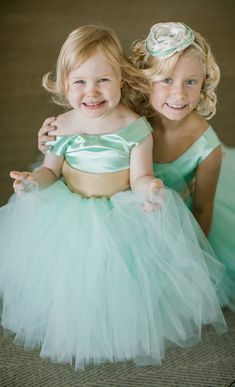 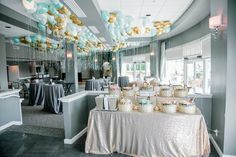 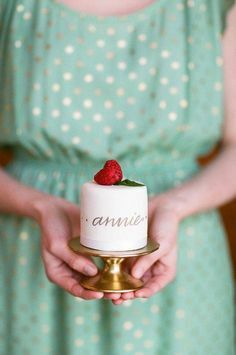 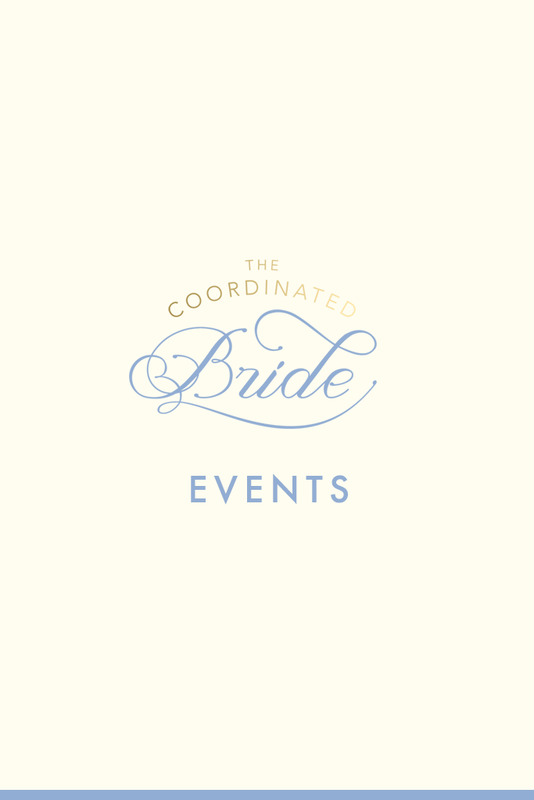 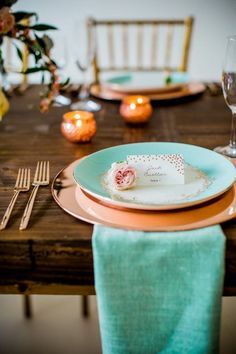 We love the elements in the shoot because you can take all of the touches and incorporate them into any event – your wedding, bridal shower or even your baby shower. 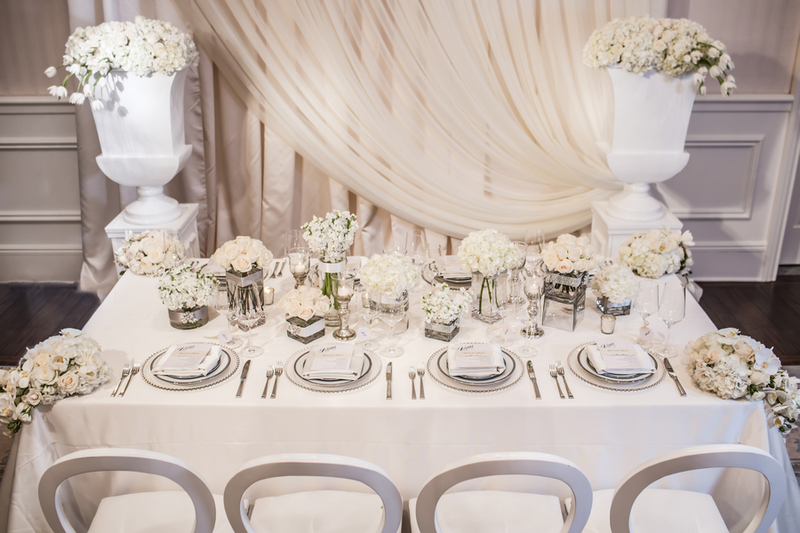 Scoobie West of Scoobie West & Company brought together a team of amazing vendors to create this All-White Modern Elegance shoot. See all the inspirational images by Janet Howard Studio below.